HE may have stayed away from coaching – and basketball for that matter – the past three years. But that doesn’t mean Joel Banal, former national player, PBA star and multi-titled coach, is totally closing the door on a coaching comeback. 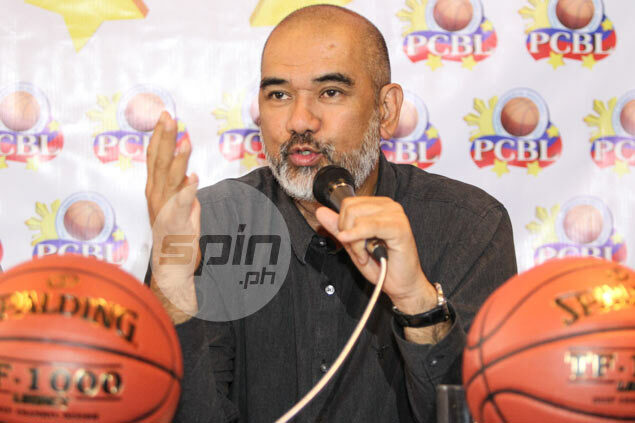 Following the long hibernation, the 58-year-old Banal is making a basketball comeback as commissioner of the Pilipinas Commercial Basketball League (PCBL), which unfurls its second conference this Sunday at the Malolos Convention Center. This marks the first time Banal will get involved in a sport he dearly loves since stepping down as coach of Alaska in the PBA in 2012. Banal categorically said he’s not discounting the possibility of going back to coaching if ‘something excites’ him. Banal, one of only two coaches – the other being Turo Valenzona – to win titles in the country's major basketball leagues (PBA, NCAA, UAAP, and PBL), had an uneventful stint as head coach for Alaska, where he took over in 2012 after the departure of longtime mentor Tim Cone. The former national player admitted the shortlived stint as Alaska coach left him 'a bit disappointed,' but he also knew from the start that Cone would be a tough act to follow. “I felt it was coming. When I became head coach of Alaska, I know it's gonna be hard to introduce my system and everything because of the performance of Tim Cone,” admitted the former Mapua King Cardinal. For the next three years, Banal totally shut himself out of basketball and instead, focused on running the family-owned private school in Pasig City, where he served as president. He didn’t even miss the game. “When I retired as coach, I stopped watching games. It was like I’m away from basketball for three years. Even the finals (PBA) I didn’t watch. I tried to, but I’m not interested. Even the NBA Finals, hindi ako nanood. Then by middle of 2015, after he stepped down as president of the school, the offer to become PCBL commissioner as replacement for Ato Badolato came along. After briefly thinking about it, Banal said yes to league chairman Buddy Encarnado. “I was waiting for something. I didn’t know that I’ll go back to basketball,” said Joel, the most popular of the playing Banal brothers Koy and Conrad. “I know chairman Buddy Encarnado, he would not venture into something that wouldn’t be interesting. So when he was the one who talked to me, I said its worth looking at, worth trying. Judging from the pre-conference games he had seen, Banal said he’s thrilled at what the entire tournament could offer. Now, this one really ‘excites’ Joel Banal, the commissioner.